Games have become extremely popular in the last decades due to miscellaneous breakthroughs in graphics. The game development industry has grown into a gigantic mechanism. 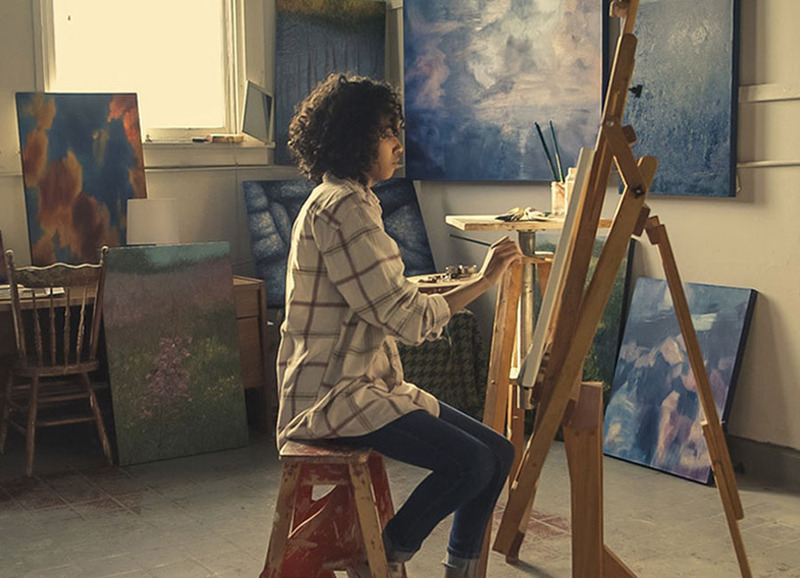 It connects professionals of different backgrounds but with the same calling – making this world more entertaining. Who could believe fifty years ago that an average person would spend about six hours a day just playing video games? That is why it is no wonder that the gaming industry is developing like a bat out of hell. 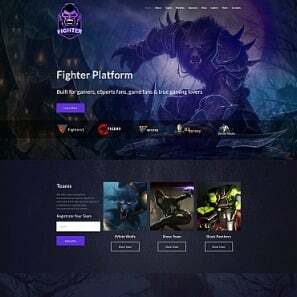 If you also belong to the industry mentioned, you have already thought about launching a website to promote your games. As you already work with Internet technologies, you fully realize their true potential. 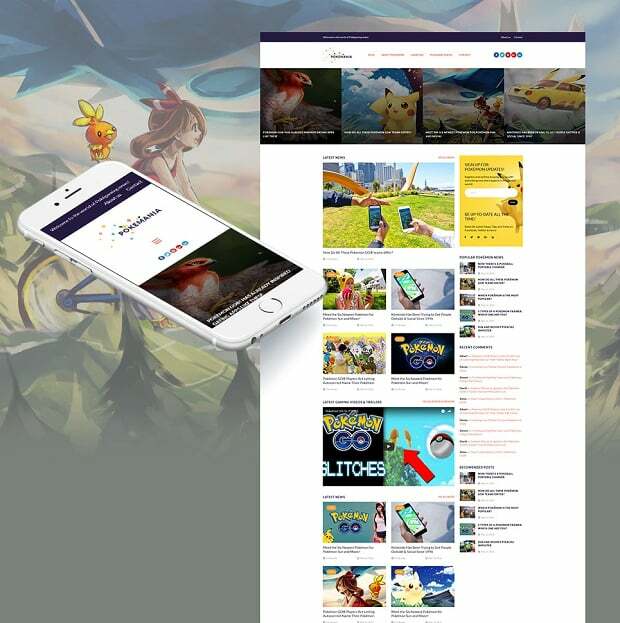 That is why there is no need to explain to you how beneficial it is to know how to make a game website nowadays. The only trick is how to create games website as quickly as possible. 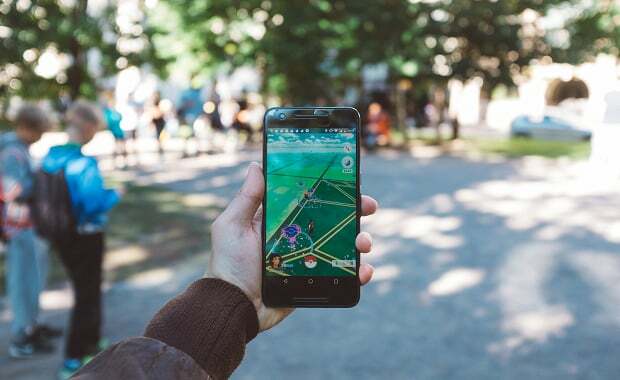 Timing is extremely important for the modern gaming market. That is why when making the first steps to success with your website, be realistic. Make the approximate evaluation of time you may need to launch a website. If you are realistic enough, you will say right away that creating a website is much quicker than buying one. You do not need to schedule all those meetings with the programmers and web designers. You do not need to explain several times the exact same things about how your website should look and work. 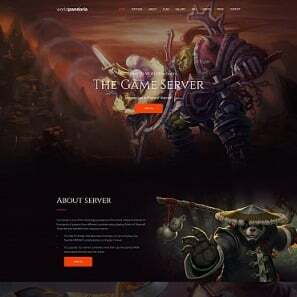 What is more, creating your own web page with gaming website builder means that you are always free to edit a thing here and there if needed. 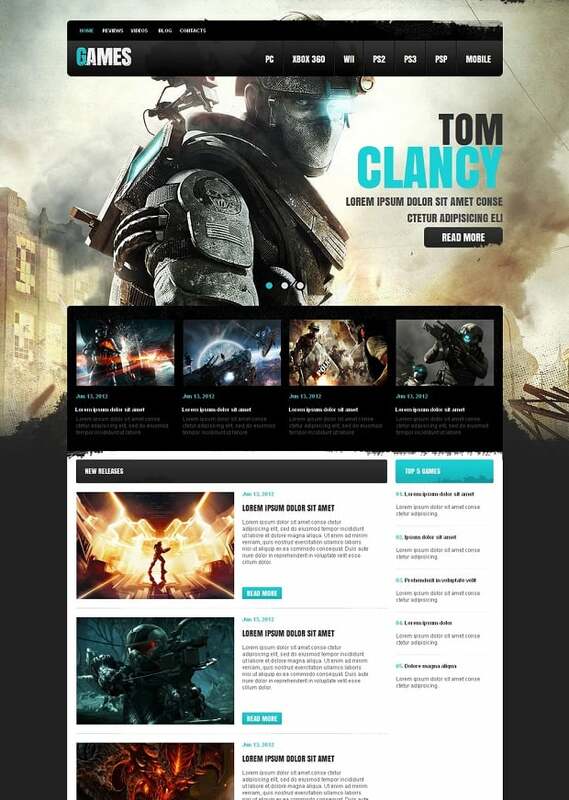 So, making a game website yourself is worth a try. 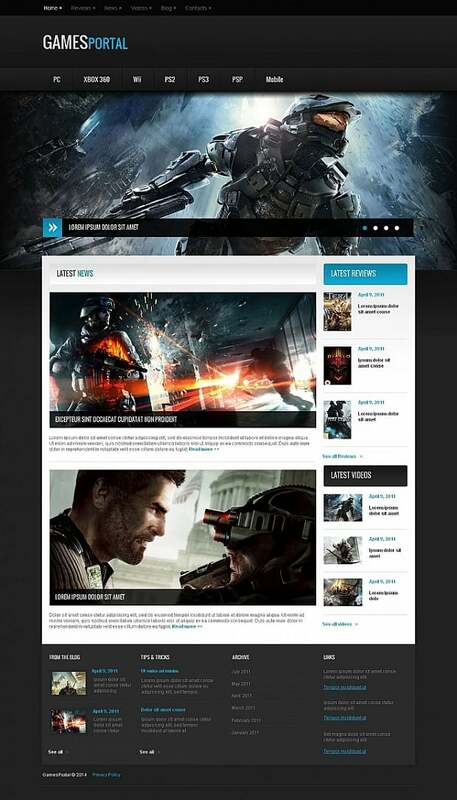 From what we have discovered, there are three key factors for making a game website. Start with the rich visuality, then work on the community spirit, and finally polish your website with the best availability. 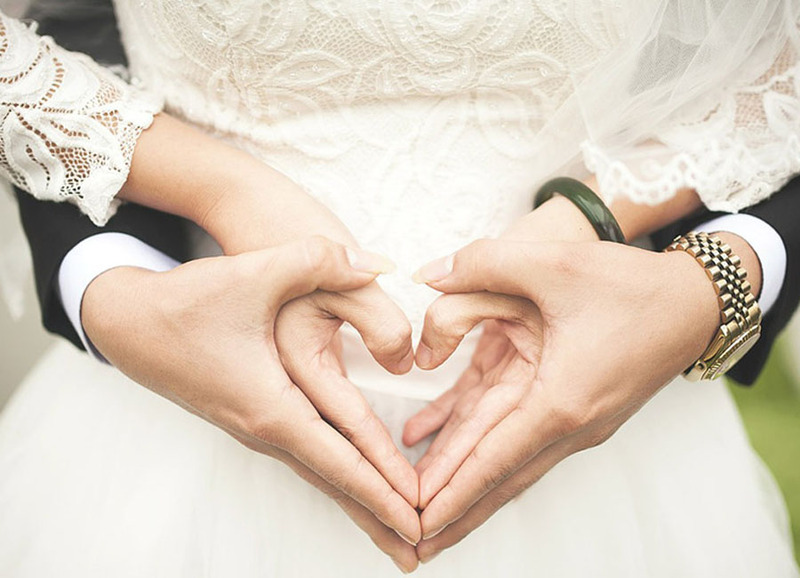 Why these three factors mentioned above matter and what to do with them is the topic of our today’s discussion. This is the main trick to a successful game website. When visiting your website, your customers need to feel right away what the atmosphere of your game is like. How to accomplish it? 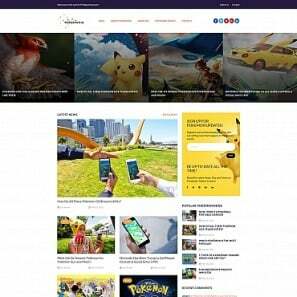 Well, start with looking for a video game website builder that allows you to play with different types of visual representation. For example, find a template that is equipped with several galleries options. Do not forget that you should minimize the time you are spending on your website’s management. 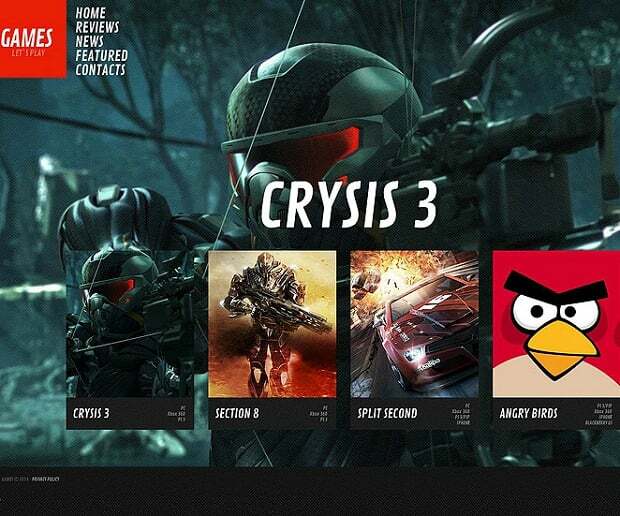 So, it makes sense to opt for Games MotoCMS 3 Responsive Website Template. This template gives you a chance to place a gallery of your liking wherever you want to see it. Just drag this gallery and drop it where necessary. Voilà – now you know why everybody is so excited about the website builder from MotoCMS! 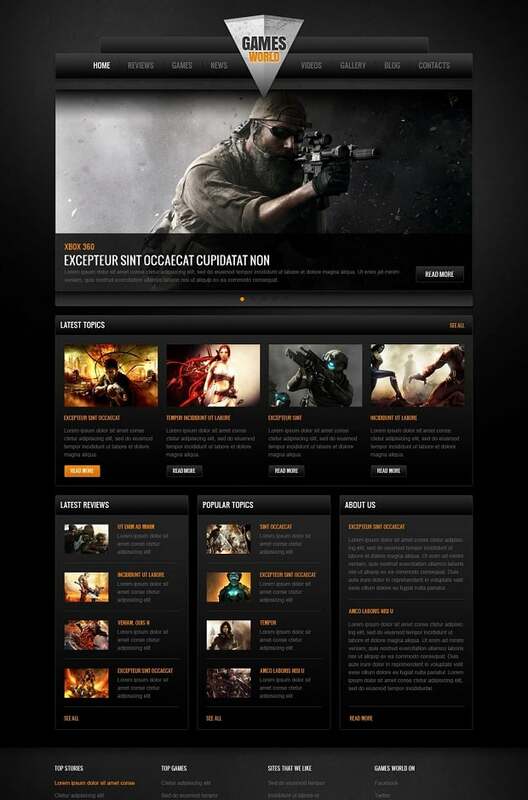 It will be more than helpful to create a web page where your visitors will be able to see the dynamics of your games. Call it PlayGame Videos, My Game Videos, or something like that and fill it with promising videos connected with your game. It is as easy as ABC thanks to the handy media widgets that MotoCMS developed for your convenience. 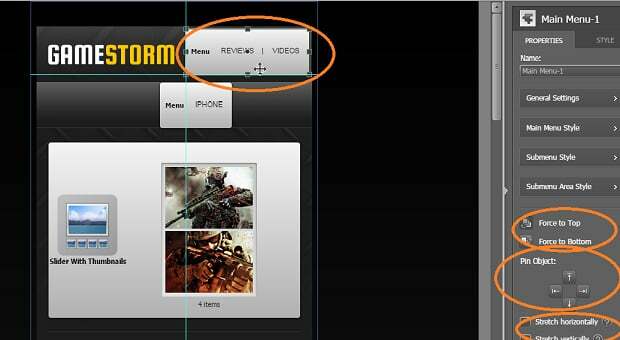 Again – you pick the element (in this case a video widget) and choose a suitable place for it in your website’s layout. This is it. The video page is all up and running! Another important tendency in the game development is creating a non-isolating game environment. 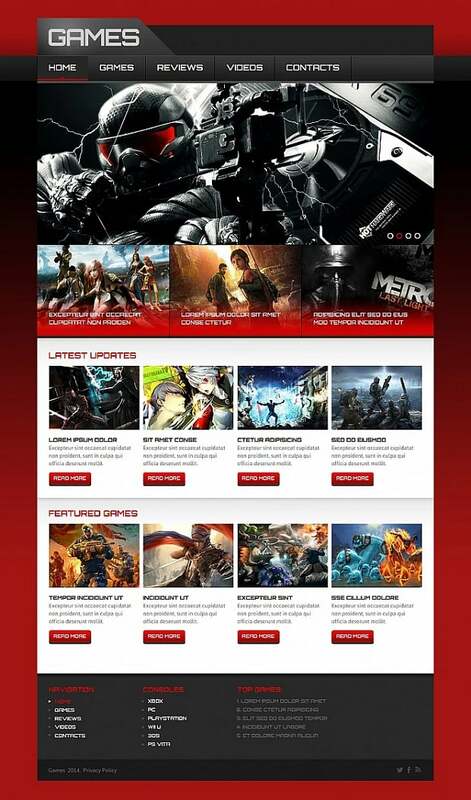 Work on the community spirit and give the visitors of your website a chance to feel a part of the large gaming society. The easiest way to do it is to start a blog. 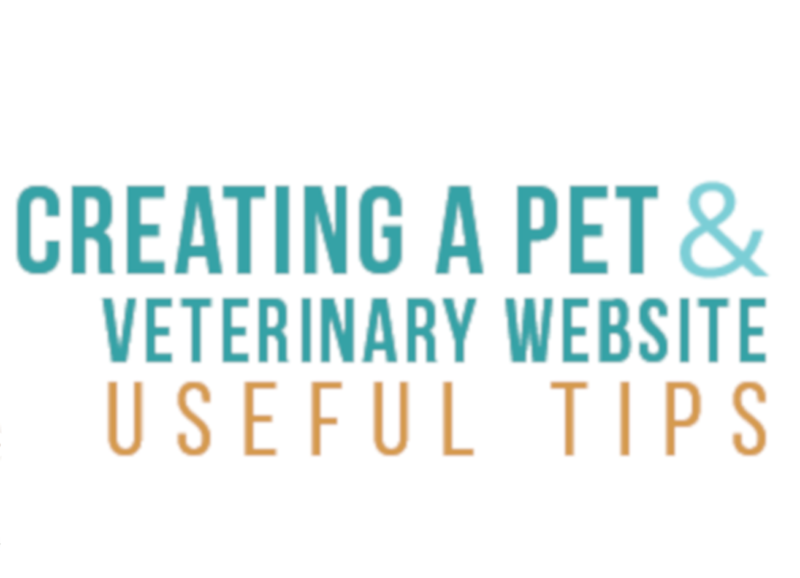 With its help, you can attract more visitors to your website. But enlarging the clientele with a blog is the secondary goal, really. The primary aim should be to turn your blog into a safe environment for discussions, feedbacks, and opinions. Collaboration is believed to be the important factor for changing the perception of the game development. So why not take advantage of it? If you think that it is too time-consuming to start a blog, you will be happy to learn that MotoCMS has already stepped it to help you. You can enjoy the professional blog functionality of MotoCMS 3 templates without paying any extra penny! Every built-in blog from MotoCMS already contains all necessary components, like the publishing date, social links, comments, the authorization. What is more, you are free to edit your posts just by clicking through Post’s Properties. This is an axiom – people have to have a direct access to your website from any device that they are currently using. The best way to meet your clients’ expectations is to create a website that either is responsive or contains the built-in Mobile Editor. 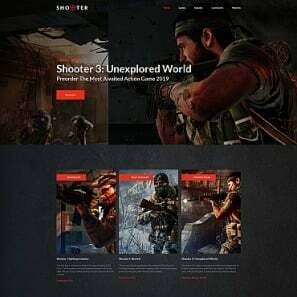 For example, you can find a powerful Mobile Editor in this attention-grabbing Games Website Template with Flexible Design. Once you switch to the Mobile Editor of the template, you are free to work on your website’s layout for the mobiles. Of course, the main principle remains quite simple – you pick a certain block and you move it. But this is not all. You can also manually predetermine the position of certain elements thanks to the rich options MotoCMS is so proud of. You may force a certain object to the top or bottom, you can pin it, you might stretch it horizontally or vertically. 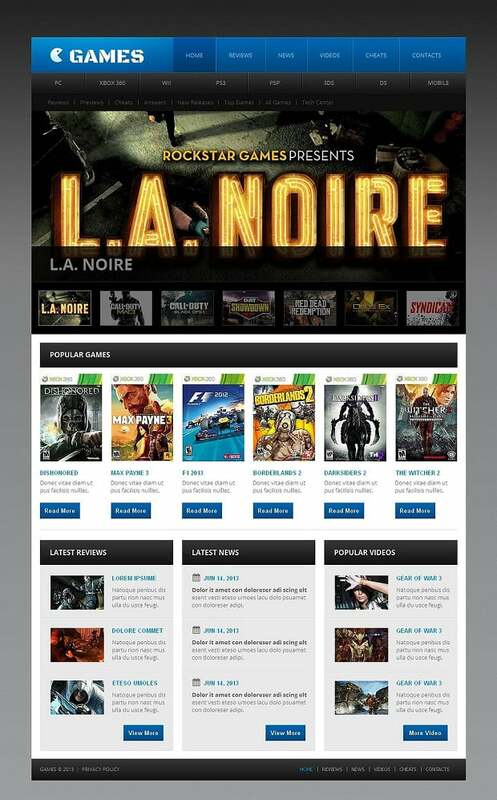 As you see, MotoCMS offers you quite a number of options to choose from, so that your games website looks unique and represents your games to the fullest. 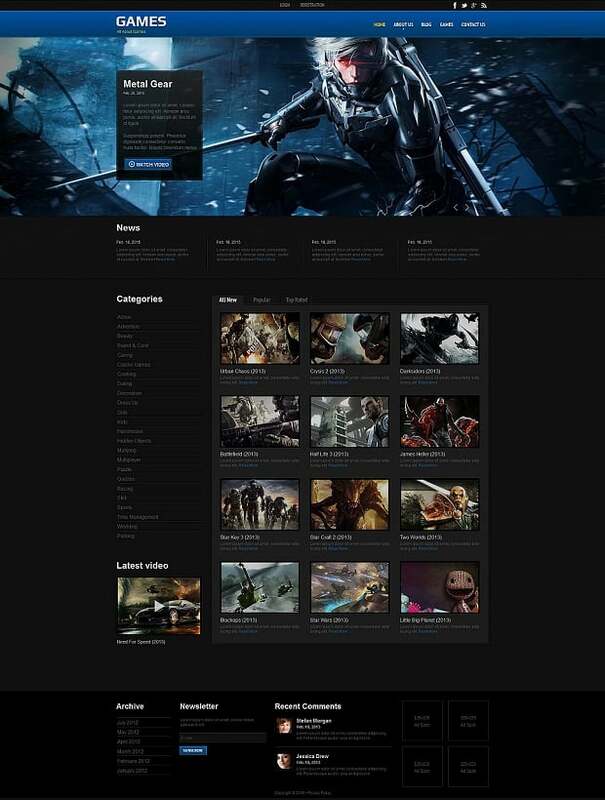 So now it is up to you to decide whether you want to learn how to make a game website and how you do it! Make the best choice and manage your games wisely!